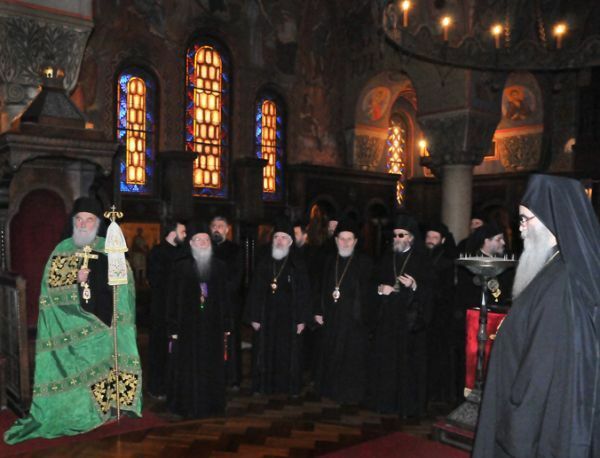 Belgrade, Serbia - In the early morning hours His Eminence Metropolitan Amfilohije of Montenegro and the Littoral , locum tenens of the Patriarchate throne, served the Holy Hierarchal liturgy at the Cathedral church. 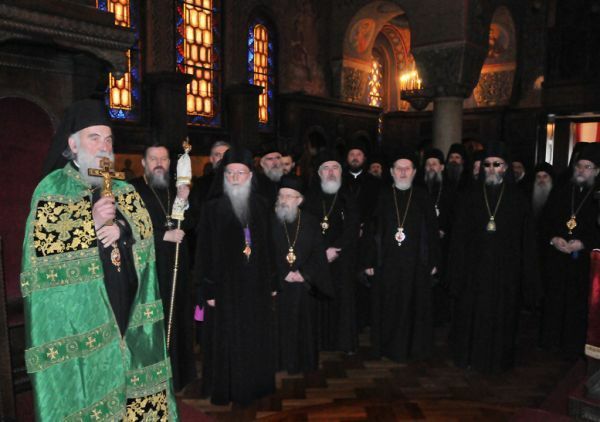 His Eminence served with the concelebration of Bishops: Lukijan of Osijek Polje and Baranja, Jovan of Shumadia, Irinej of Australia and New Zealand, Vicar Bishop of Teodosije of Lipljan and Antonije of Moravica. 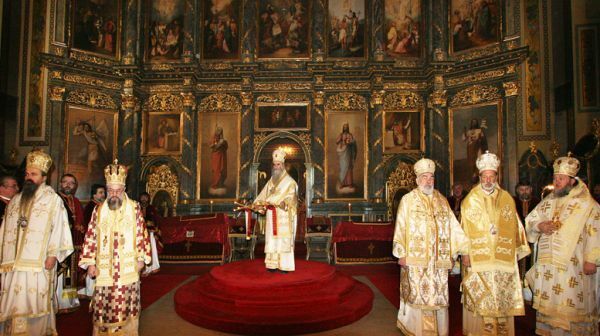 The Holy Hierarchal Liturgy, during which there will be the enthronement of His Holiness Patriarch Irinej Serbia will begin tomorrow at the Cathedral Church at 9 o'clock, and later, when all the conditions are met, there will be made formal introducing to the throne of the Serbian patriarchs at the Patriarchate of Pec, the historic seat of the chief of the Serbian Orthodox Church.